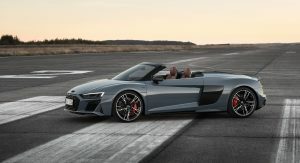 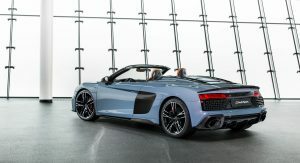 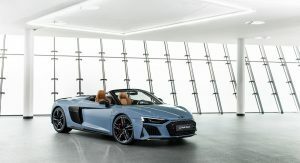 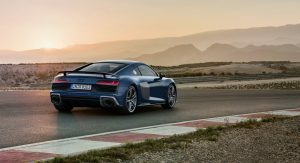 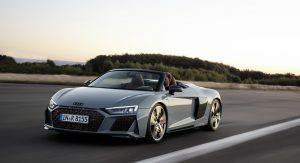 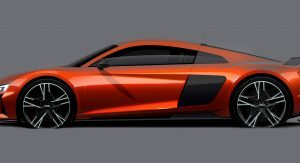 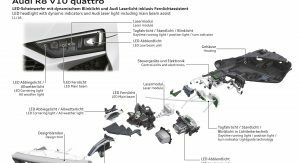 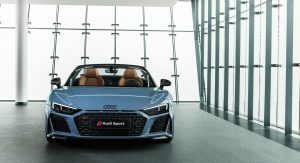 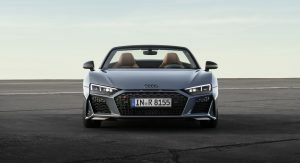 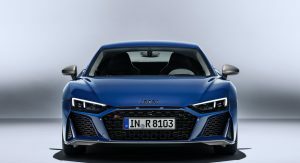 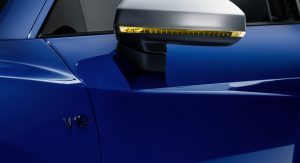 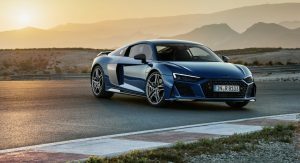 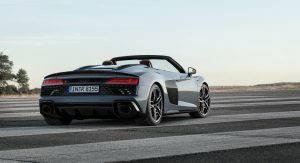 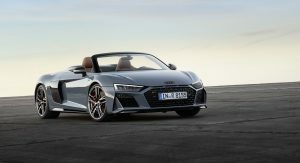 Audi unveiled its updated 2019 R8 Coupe and Spyder models last October, and until recently, only a handful of images were made available to the media. 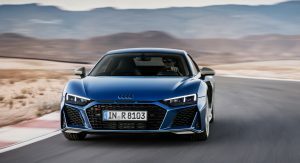 Now, we have 145 pics of the revamped German supercar to drool over. 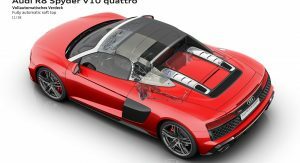 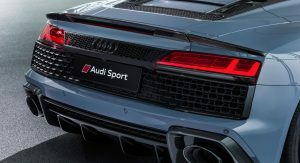 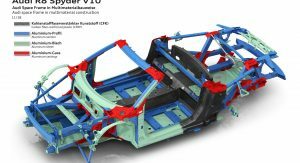 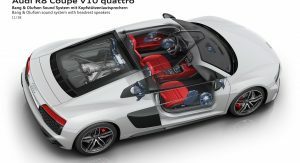 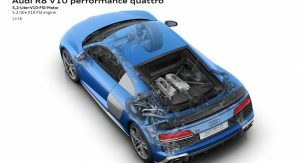 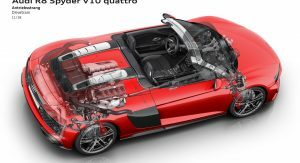 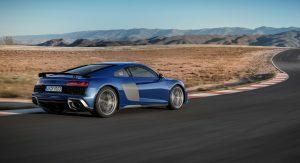 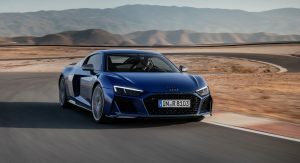 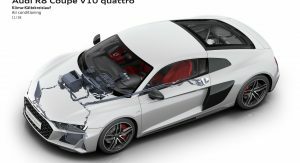 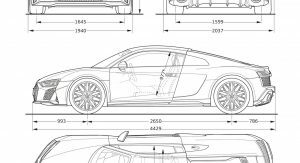 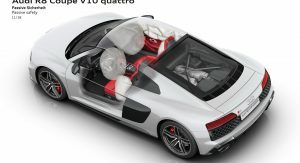 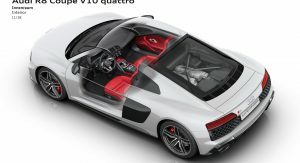 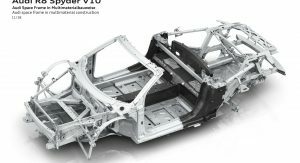 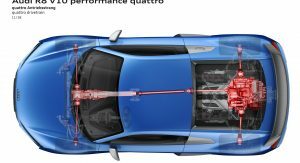 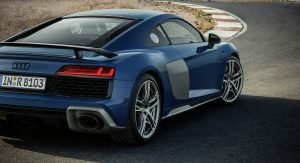 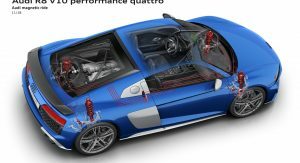 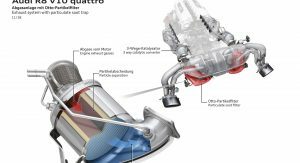 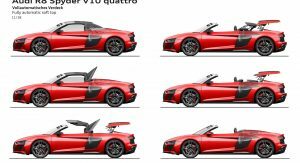 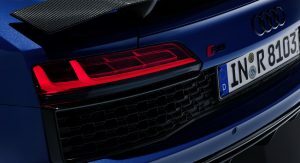 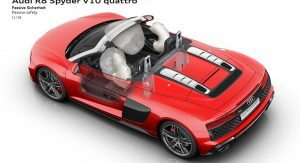 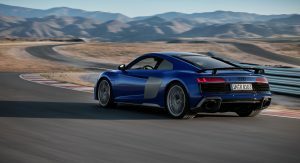 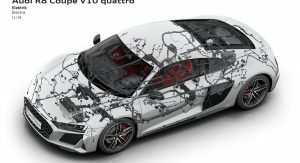 Aside from aesthetic changes, both the 2019 R8 and R8 Spyder feature more power for their 5.2-liter V10 engine, specifically an extra 30 PS (29 HP) and 10 Nm (7 lb-ft) in the V10 and 10 PS (9 HP) and 20 Nm (14 lb-ft) in the V10 Performance. 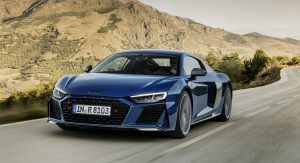 In total, the R8 V10 now puts down 570 PS (562 HP) and 550 Nm (405 lb-ft) of torque, allowing for a 0 to 100 km/h (62 mph) acceleration time of 3.4 seconds and a top speed of 324 km/h (201 mph). 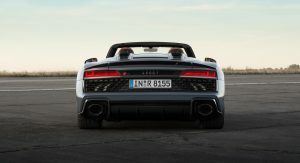 The Performance variant has 620 PS (611 HP) and 580 Nm (427 lb-ft) of torque, enabling it to sprint to 100 km/h in 3.1 seconds and max out at 331 km/h (205 mph). 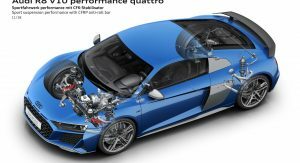 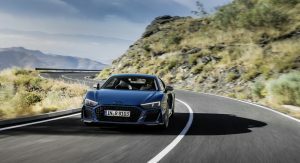 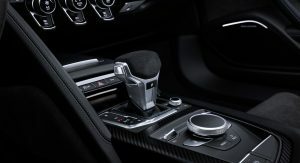 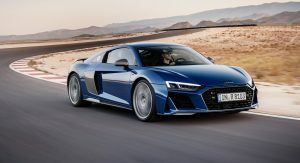 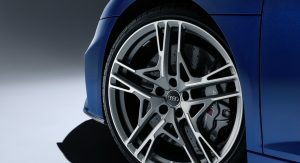 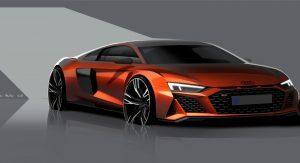 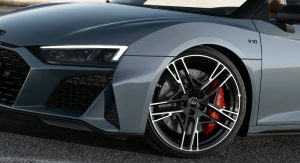 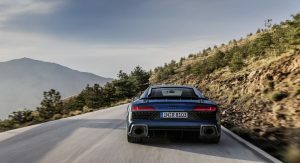 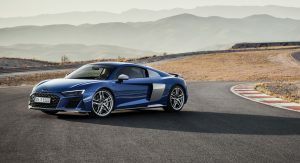 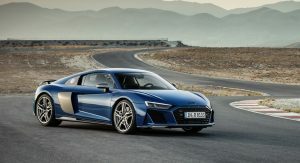 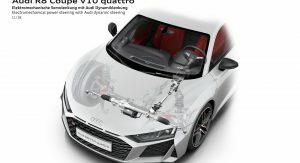 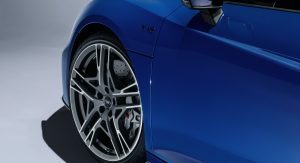 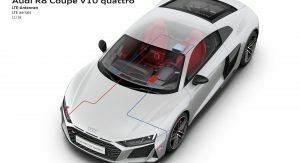 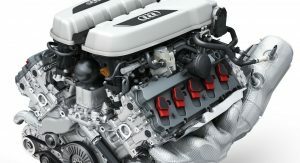 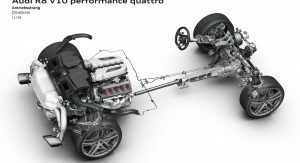 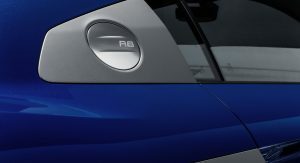 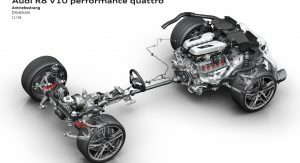 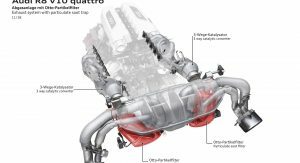 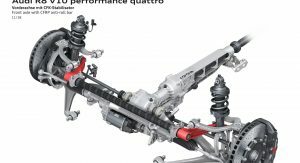 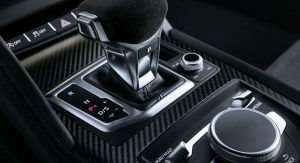 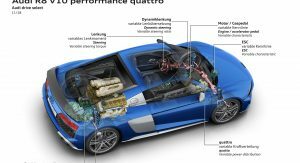 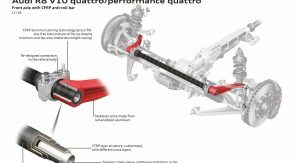 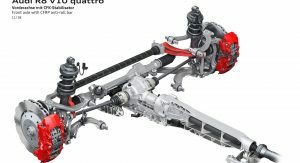 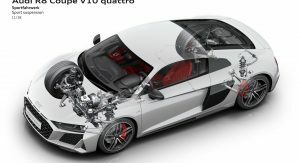 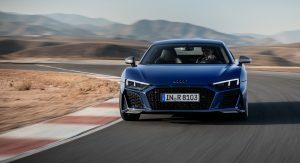 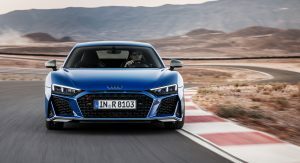 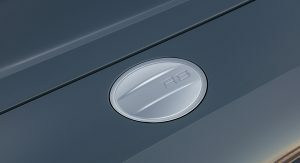 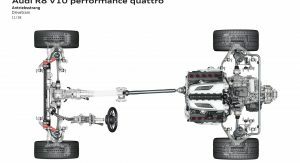 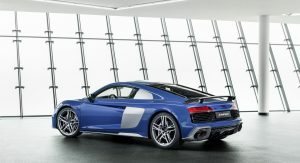 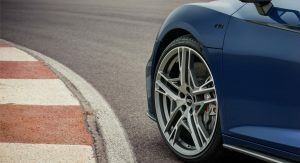 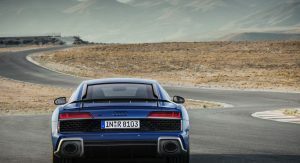 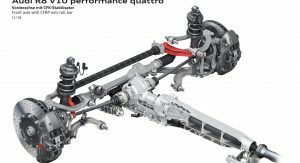 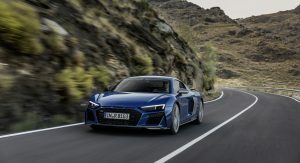 Audi has also made a number of other mechanical improvements for its updated R8 range, adding a revised suspension which promises “even more stability and precision”,a retuned power steering and optional dynamic steering systems for increased feedback and responsiveness, and an enhanced Electronic Stabilization Control system for better braking. 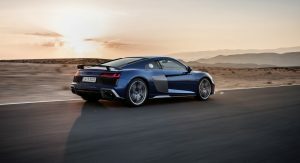 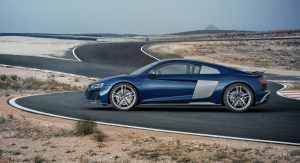 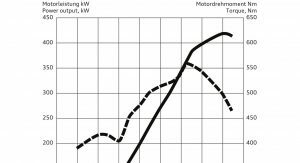 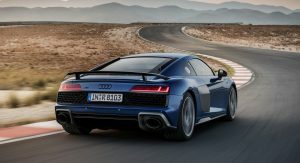 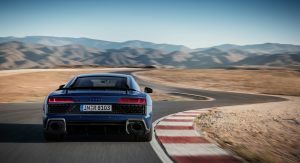 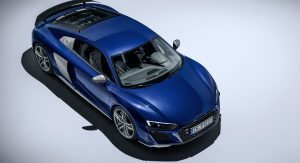 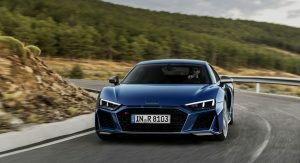 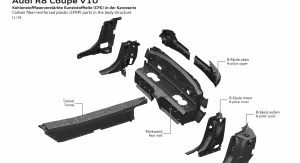 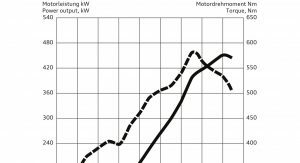 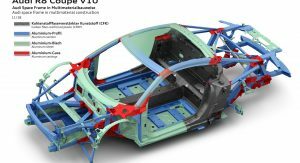 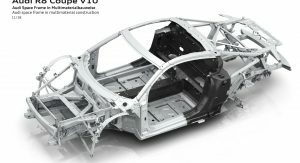 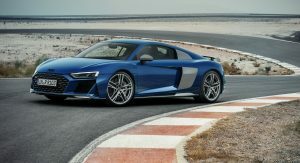 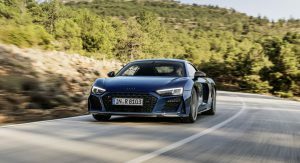 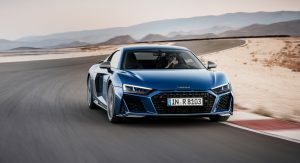 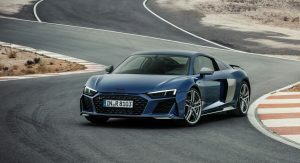 According to the automaker, the 100 km/h to zero braking distance in the flagship R8 Performance has improved by up to 1.5 meters (4.9 feet), while 200 km/h to zero has been cut by up to 5 meters (16.4 feet). 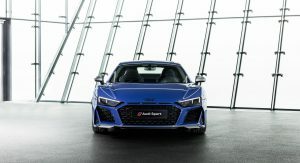 The facelift brought with it a wider singleframe grille and three hood slits that are meant to pay tribute to the iconic Ur-quattro. 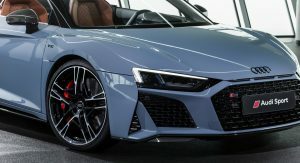 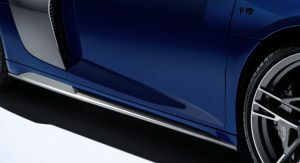 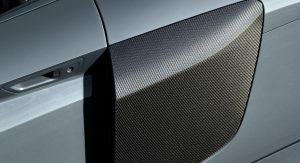 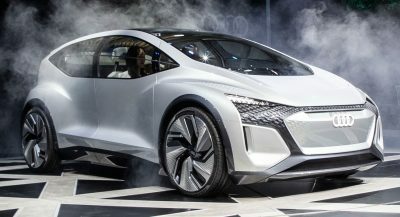 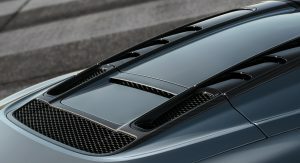 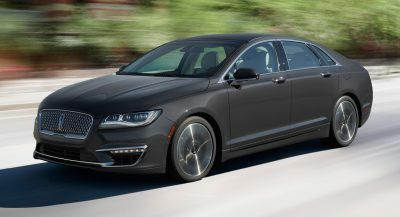 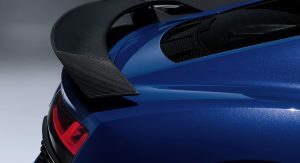 Other design changes include a new front splitter, more aggressive intakes, new three-piece engine cover, multiple exterior styling packages and two new colors named Kemora Gray and Ascari Blue. 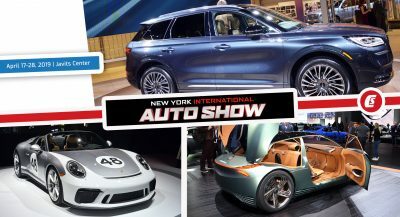 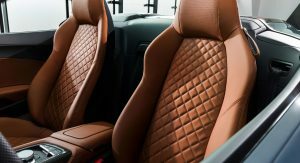 As for the interior, there are new material color combos that include pastel silver with rock gray contrast stitching, palomino brown with steel gray stitching and black with utopia blue stitching. 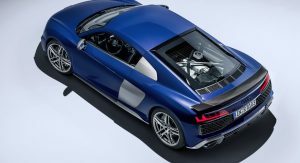 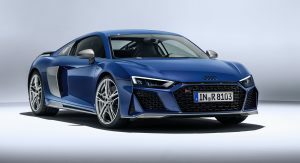 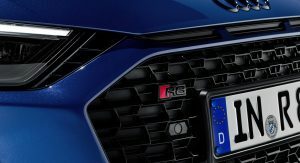 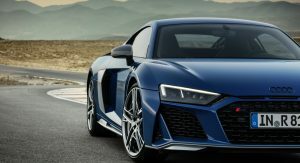 Buyers opting for the flagship version can also get the R8 Performance Design package, which adds leather and Alcantara upholstery, as well as carbon fiber trim and Mercato Blue accents. 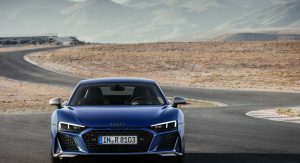 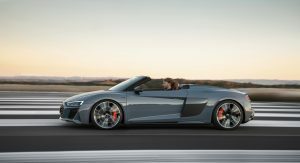 The 2019 R8 and R8 Spyder will hit Audi showrooms this year, with pricing to be announced closer to their launch date. 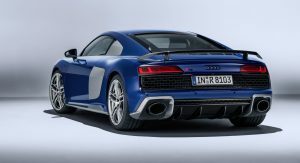 The only thing that I hate about the new R8’s facelift is the exhaust pipes. 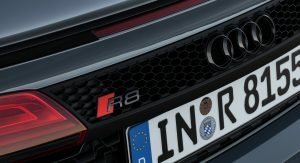 Please don’t tell me that they’re fake on the R8 also. 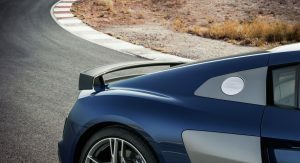 I don’t think I could handle that. 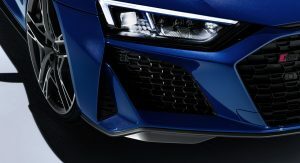 They’re not on its face! 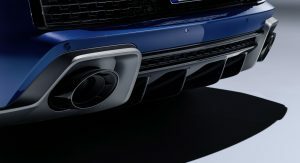 Yep the exhausts are hideous. 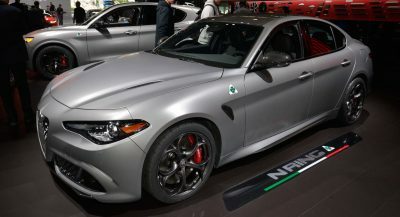 It looks better indeed and love the interior, I always did, but hey I’m surprised this thing is still around. 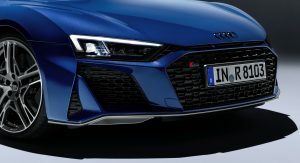 I just don’t get why this car doesn’t have any track achievements and not involved in any track-based compares. 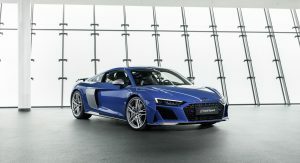 One of the most good looking supercars in the market right now. 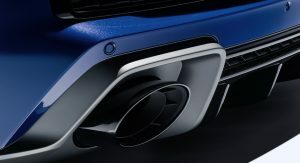 Those tailpipes are a bit massive!